BJP National Vice President Avinash Rai Khanna, Ex Deputy Chief Minister of J&K and Speaker Assembly Kavinder Gupta, Ex MLC Sofi Yousuf and several other local leaders were present on the occasion. 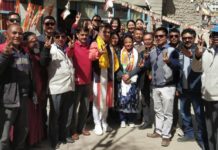 They stressed upon the workers to ensure full majority win in upcoming parliamentary elections. 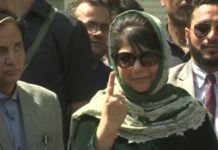 “These people are not only befooling country but people of Kashmir too. 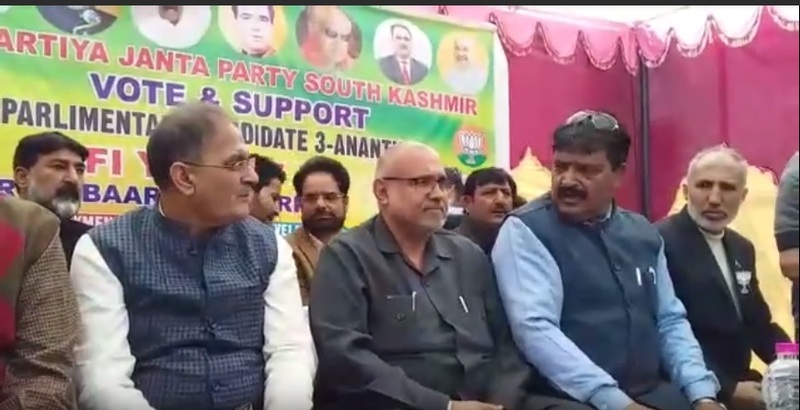 BJP would emerge as a single largest party in the forthcoming assembly elections in the state.,” Avinash Khanna said during his address. 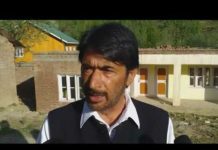 “PDP, Congress and NC should stop dreaming about coming to power in J&K,” he added. “In recently conducted, Panchayat and Urban Local Bodies elections, BJP has made a good mark in the valley. We are in a good position here,” said Kavinder Gupta. He attributed the major confidence building measures with Pakistan, saying his party has always worked for peace with its neighboring country.